A completely unexpected delight which has stemmed from creating this little blog has been opening up my ‘WordPress Reader’ each morning to discover what my newly-found blogging friends from around the world have been creating in their own kitchens. Their musings, recipes and photos are at once delicious and provide more inspiration and encouragement than they can possibly imagine. For this, I thank you all dearly! You so frequently bring a smile to my face, illuminate light bulbs in my mind and bring calm to my heart in the knowledge that I’m not alone in this passion for all things food related. It’s like discovering a family out there, that I never new I had! If I can encourage even a small number of families out there to give more thought as to how they nourish their children, I’ll be accomplishing what I set out to do… It’s hard not to become despondent at times when you see what others are placing into their supermarket trolleys or see the number of people queuing up for the drive-through of fast food outlets. I have a vivid and still quite sickening picture in my head of watching a toddler sit down, diagonally across from me, on a 9am internal flight within the USA and be handed a cheese-burger to eat (for his breakfast!?). Apart from being offended by the unnatural smell wafting through the cabin at that time of morning, I also felt a deep sense of anger and incomprehension towards the mother – she was allowing her poor innocent child to grow up believing this to be normal. I do realise that this child at least had something going into his stomach, which may not be a daily certainty for all the children of the world; but if getting up a little earlier to have breakfast at home wasn’t an option, perhaps a piece of fresh fruit or a granola/muesli bar from one of the other airport food outlets might have been a wiser choice. Our family enjoyed the following dish over the weekend just gone – I was proud of our eldest child who drizzled some of the yoghurt dressing over his lamb (hooray! ), though the youngest opted for some tomato sauce instead (thankfully not so much for the lamb, but for the roasted kipfler potatoes that he’s still not quite sure if he likes…) C’est la vie! 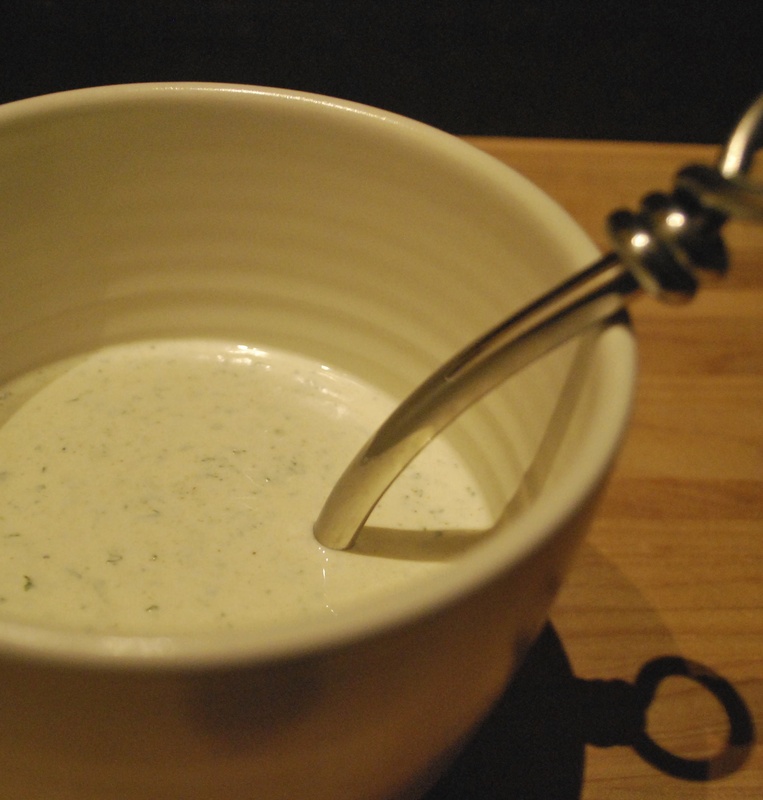 In a small mixing bowl, combine the olive oil, garlic and herbs. Season the lamb generously on both sides with sea salt and freshly ground black pepper, then rub all over with the marinade. Cover and place in the fridge for at least a few hours or if possible overnight. If, like me, you prefer to bring the lamb to room temperature before cooking, remove from the fridge approximately an hour in advance of when you wish to commence cooking. Pre-heat the barbecue to about 220°C. Grill the lamb for a few minutes on each side until nicely coloured, then turn down the heat to 180°C and continue cooking for another 15 – 20 minutes (depending on the size of your lamb), or until cooked to your liking. 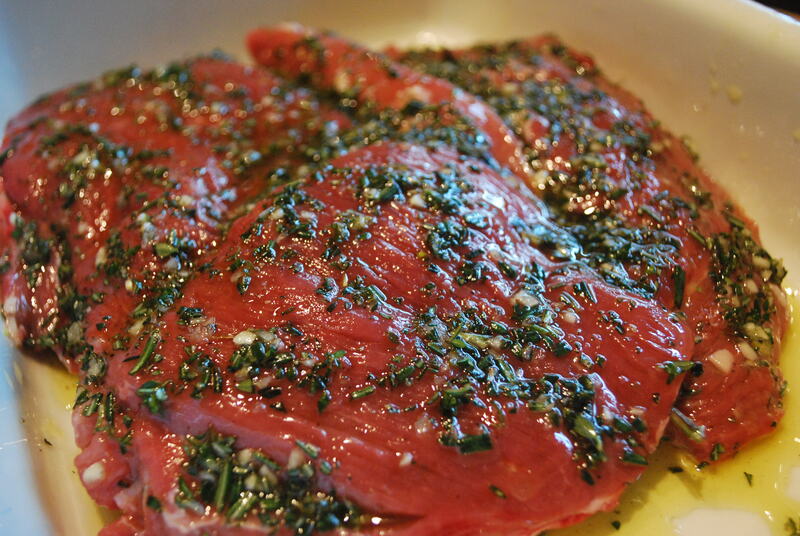 Rest the meat for approximately 10 minutes, before slicing. Serve with Yoghurt Dressing, roasted potatoes/veggies and some lightly-steamed greens. A fresh salad and crusty bread would also be wonderful if you’re lucky enough to be heading into summer! Mix all ingredients together in a mixing bowl. Cover and place in the fridge for an hour or two before serving to allow all the wonderful flavours to infuse the yoghurt. Other cuts of lamb will work equally well in this recipe – just be sure to adjust the cooking time to the thickness and cut of your meat. 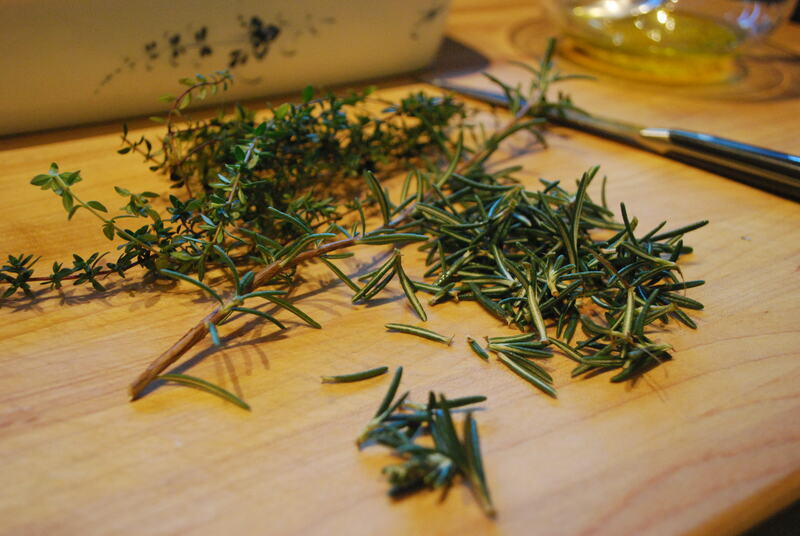 The choice of herbs is interchangeable as well – though I find that when grilling on the barbecue – thyme and rosemary (along with the garlic) combine so incredibly well with lamb. 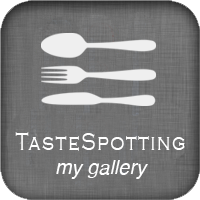 This entry was posted in Cooking, Food, Greek Food, Lamb Dishes, Mains, Recipes and tagged Barbecued Lamb, Gather and Graze, Greek Lamb, Yoghurt Dressing on 27/05/2013 by Gather and Graze. Looks beautiful and yogurt and lamb were made for each other! Hi Laura, thanks so much for your kind thoughts! It’s one of those great recipes that allows you to do all the prep well before dinner and then sit back while it’s cooking with a glass of wine… Bliss! I so look forward to each and every one of your posts – they are a joy to read and you take such beautiful photos to go with them! This blogging world is pretty fabulous… I’m so pleased I finally took the leap to join it! Hi Margot, that looks delicious, your kids are lucky if they get to eat like this all the time!